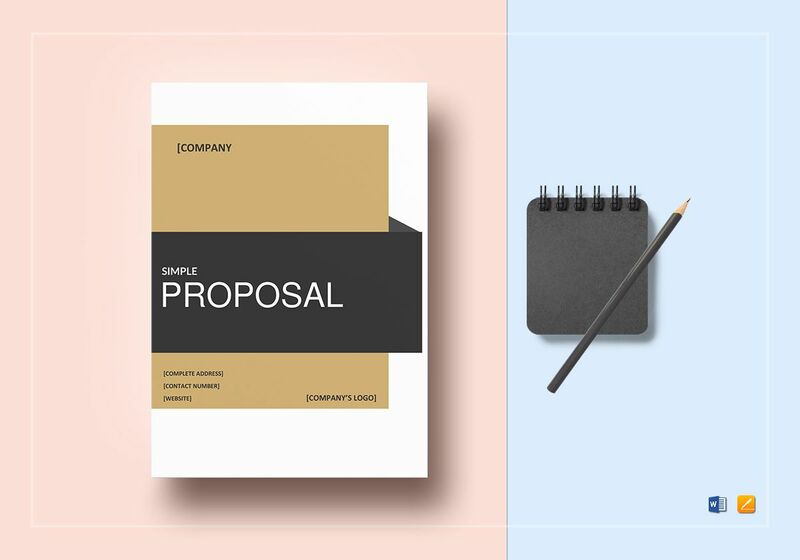 Use this Simple Proposal Template for any of your proposal needs. 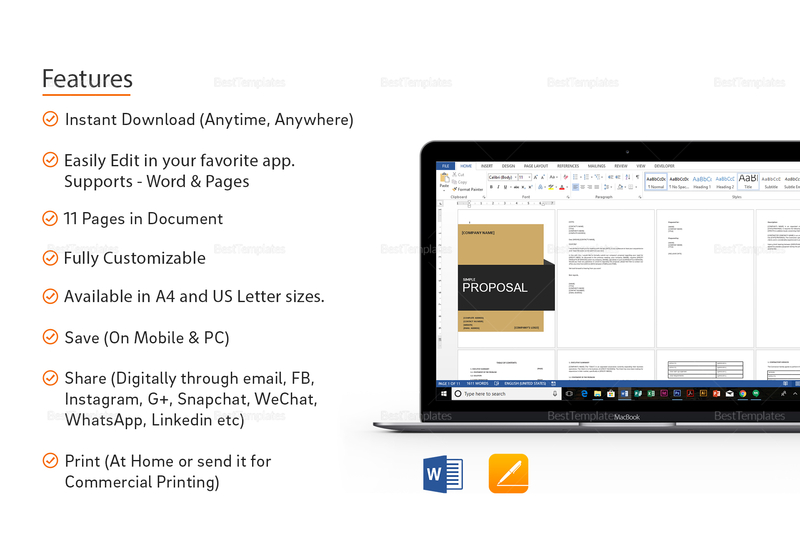 This 14-page proposal template is easily editable and fully customizable using any chosen application or program that supports MS Word or Pages file formats. 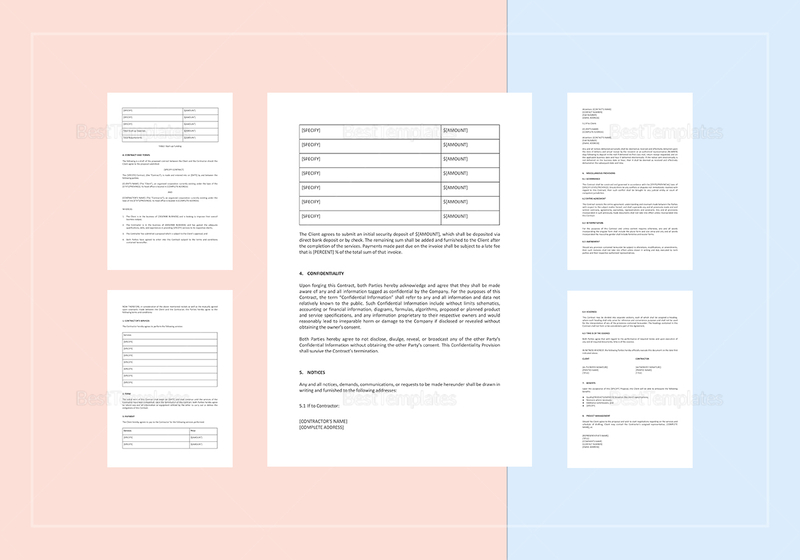 Download any of the file formats anytime and anywhere. 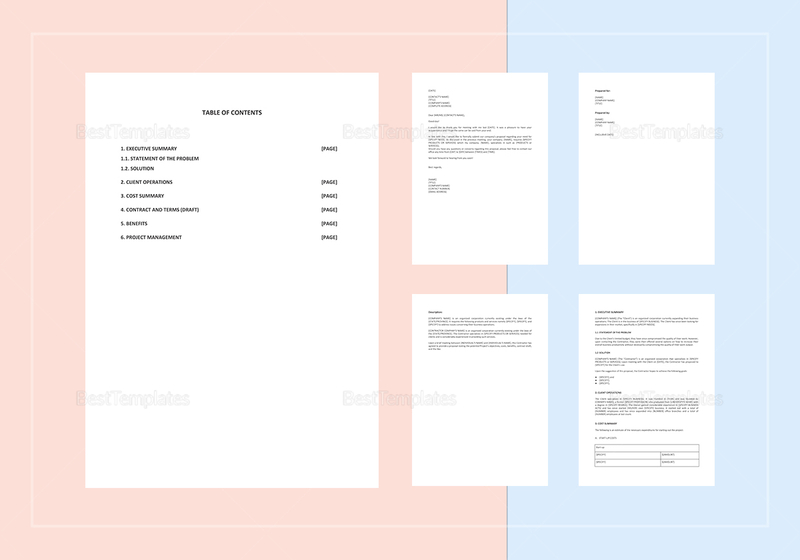 Grab a hold of this extremely useful template now and be on your way to having your proposal accepted.